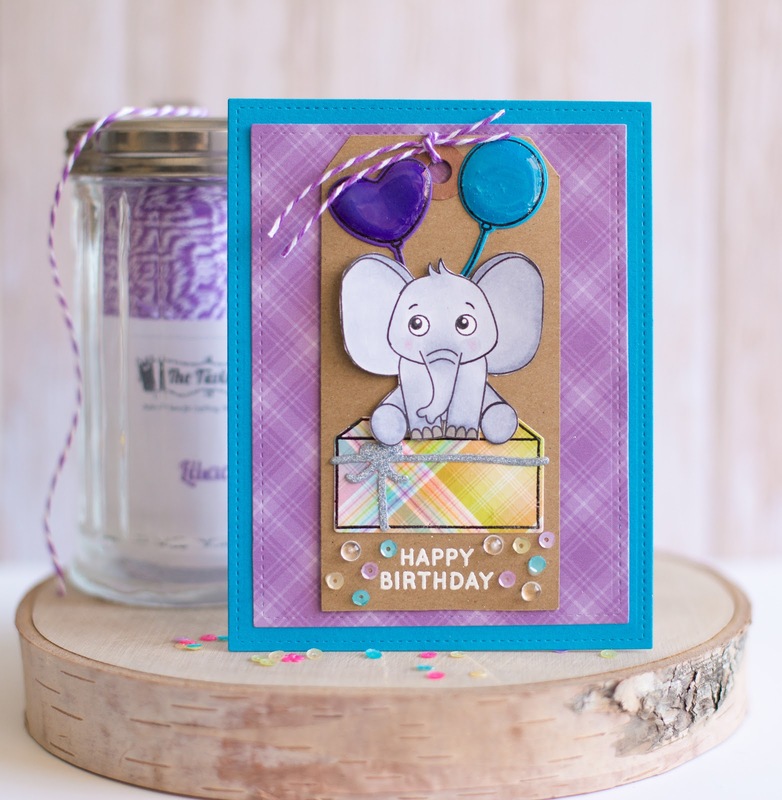 I stamped and die cut the balloons and added Glossy Accents to make them shine. Then I stamped, Copic colored and fussy cut the little elephant. I love how cute he looks sitting on the stamped and die cut present. Next, I stamped and heat embossed the sentiment and added some sequins and Droplets from Pretty Pink Posh. It's always great to add a birthday card to your stash, right?